DS Louisa Townsend has moved from Edinburgh where she has lived and worked for most of her life to return to her home turf of Tarawa, a remote coral atoll in the middle of the Pacific Ocean. Two worlds which could not be further apart if you tried. 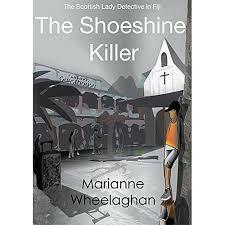 But she deals with the culture shock well and is warmly referred to by the locals as the Scottish Lady Detective. She heads over to Fiji for a money laundering conference and from the very moment she gets there, things start to get very weird indeed. Someone breaks into her room as she sleeps for a start but that’s nothing compared to the shock at finding the body of someone she’s just met. Of course Louisa wants to know more but the local police tell her to keep out of it. She starts to worry that the break-ins might be linked in some way and so she is determined to get to the truth. But sometimes the truth can get you killed. 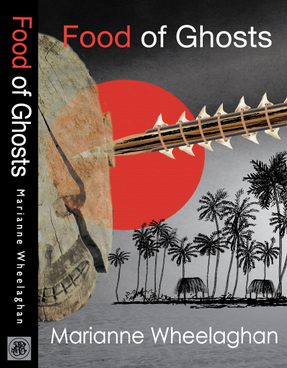 The story of the Shoeshine Killer follows Food of Ghosts which is set on Tarawa, a small and very remote atoll in the middle of the Pacific Ocean. This is the home of DS Louisa Townsend who was born there before she moved to Edinburgh where she had lived and worked until recently returning to Tarawa for good. Sheets of bluebottle black raindrops battered the ground outside, No one told her Fiji would be wet. Tarawa was hot and dry. There’s also a real sense of place, and feel for the colours and various layers of Fiji society. Fiji has many problems – Before he was killed, the victim was seen talking to some shoe shine boys in town who clean visitors shoes at the side of the road. There is a group of these boys who all live in a cramped house, controlled by a reckless boss for a start and it’s clear that they have some sort of connection to the B&B owner. 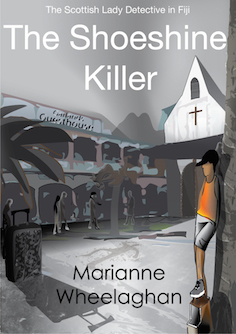 This is just a small insight into a wider world of drug lords and other criminals who seem to pervade the streets of the island. Louisa finds herself in a maze trying to make sense of it all – before it can swallow her whole and eat her alive. 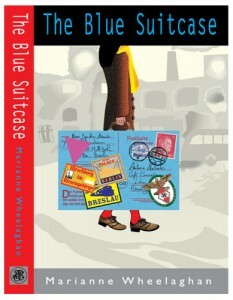 There’s something very special about this series that really gets me involved and really wanting to read this.The title itself is intriguing but it’s shine comes from a whole range of theigs – from the setting of course which is just so unique and stunningly evoked to the character of Louisa herself who has OCD and who is from two very different cultures. The lack of Forensics on these islands is another ‘obstacle’ she has to overcome as well as the reluctance of local police to let her into their confidence. It just all works really well and makes for a thrilling premise for a crime novel with a difference. When I first saw the title I was intrigued as shoe shine boys are not something I’ve ever seen least of all read about, but these little cultural insights are dotted across every page, woven into the fabric of the story so even though this never reads as a ‘guide’, it’s a great novel to see inside the country in a way you’ve never done before. I like Louisa I do. I feel I connect with her in many ways and always feel as if I understand her and where she’s coming from. She has a unique background and status in life and I am looking forward to meeting her again in the next novel.